Monty Don helps people transform their gardens. Denise dreams of building a dreamlike garden, including building the ruins of a mill to remind her of her childhood. Monty Don travels around the country helping amateurs to create the garden of their dreams. 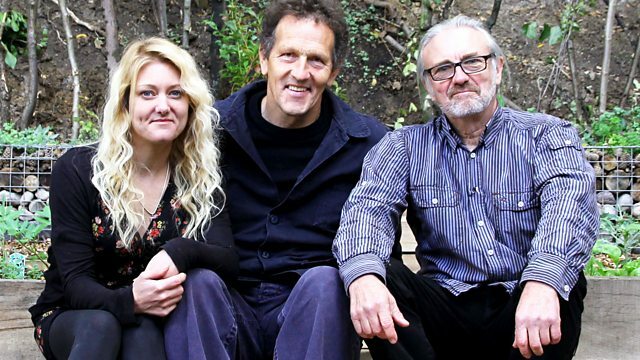 This time, Monty meets two sets of gardeners who have unimaginable ambitions for their outdoor spaces. In Essex, Denise has never ventured beyond the decking area behind her house. But she dreams of having an altogether dreamlike garden, including building the ruins of a mill to remind her of her childhood. Her husband Dave isn't quite as enthusiastic about any of it, not least the amount of work involved, so Monty is called in to mediate. Meanwhile in Ipswich, father-and-daughter team Rob and Jo run a family charity together and are no strangers to hard labour. It's just as well, because their plan to build a productive terraced allotment on a treacherously steep slope in the middle of a wooded wasteland leaves Monty lost for words. But with a bit of advice and the help of an army of volunteers, can they go from mad to possible? Get inspired and browse our collection of home improvement programmes.